The frenzy continues into the 2010 Spring season with another thunderbomb set to detonate in Nevada. 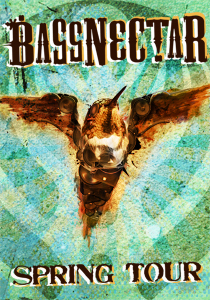 Bassnectar will be performing with Heavyweight Dub Champion and Jugoe on March 13th, 2010 at MontBleu Resort in Lake Tahoe. This is an ALL AGES event. Doors open at 7:00pm.